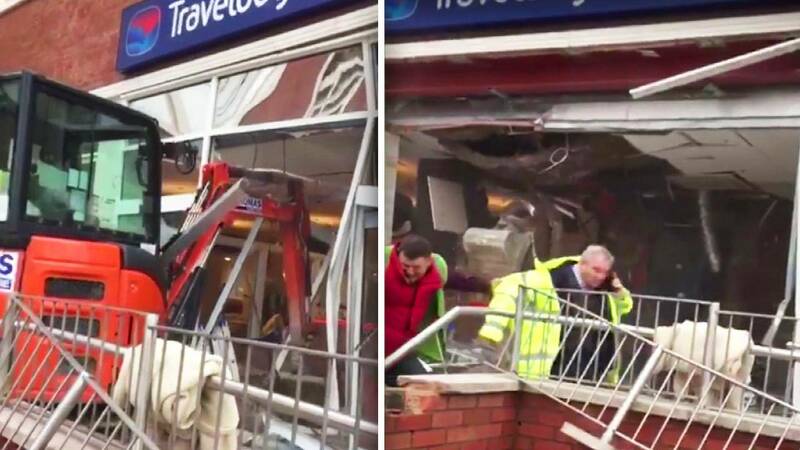 British police are seeking out the operator of a digger who destroyed the reception area of a Liverpool hotel after video of his alleged carnage went viral. Footage shared on social media showed a construction worker operating a digger and driving it into a new Travelodge hotel on the day the building was due to be finished. Other workers begged him to stop but he was determined to do as much damage as possible. The driver was allegedly angry over the fact that he had not been paid £600, which equates to $783.49. Travelodge has not commented on the situation. 'You Can't Do What There?!' Some of the Weirdest Laws in the U.S.